ValvTechnologies is the global leader in the design and manufacture of flow control devices. What matters most is our focus on helping you meet your challenges safely and efficiently. Whether those challenges are daily process problems that need to be met one valve at a time, or system-wide concerns demanding total flow control solutions, ValvTechnologies has built solutions proven to help customers like you. ValvTechnologies is committed to providing the best solutions to ensure customer satisfaction, safety and reliability and improved process and performance. You’ll recognize the value of ValvTechnologies as a proven, dependable partner. Learn More ? Learn More ? Learn More ? Learn More ? 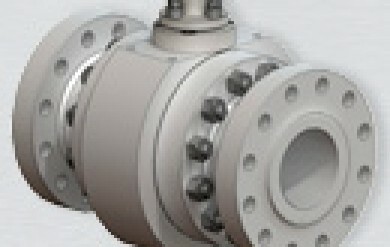 ValvTechnologies’ ValvPerformance Testing™ provides innovative solutions for efficiently maintaining valve populations and solving valve leakage problems. Right now, given your industry’s economics, consider the cost and time savings potential of treating all your system’s valves like a "fleet.” Determine fleet economies. Generate fleet savings. Learn More ? Learn More ? Learn More ? Learn More ? Learn More ? ValvTechnologies is committed to helping our global network of customers maintain peak valve performance. ValvTechnologies has multiple certified service centers located around the world that are available 24 hours a day, seven days a week to assist with valve installation, commissioning, troubleshooting and other maintenance that may be needed.